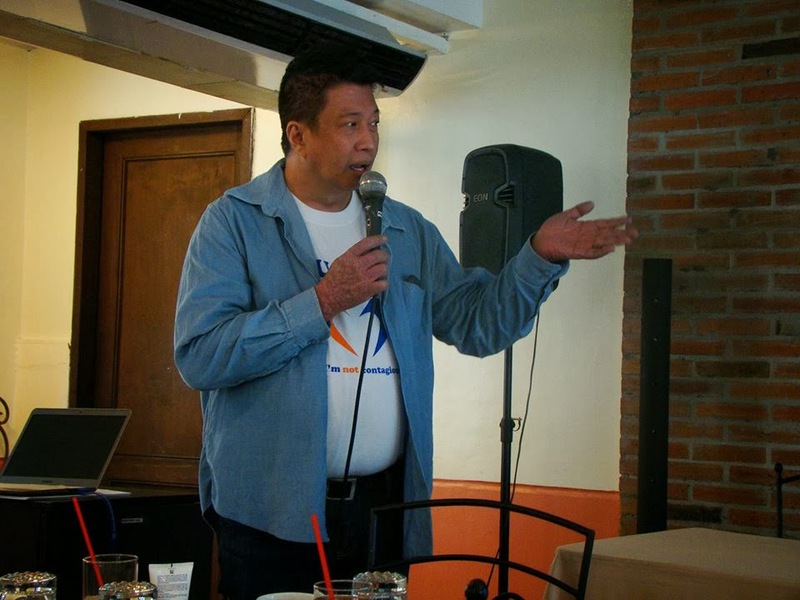 Psoriasis Philippines official launched its PsorCoach program last February 13, 2014. The program aims to aid psoriasis patients in understanding their condition and in acceptance of their situation. It also helps the patient to cope up with psoriasis in a holistic approach, improving the quality of their life. • The Red, inflamed itchy skin. • The Silvery scales that seem to erupt for no reason. • The Burning or bleeding that occurs around your joints. • The Cracking, oozing and painful patches on your skin. The silvery scales that crack, ooze and start the maddening itching cycle over and over again. Sadly, there is no cure for Psoriasis. Symptoms often go into remission, even without treatment, and then return. Most individuals overlook the underlying cause of psoriasis--the actual immune system deficiency that causes these itchy patches to appear and scale over. It occurs when the immune system mistakes a normal skin cell for a pathogen, and sends out faulty signals that cause overproduction of new skin cells. These new skin cells move rapidly to the surface of the skin in days (rather than weeks) building up and forming thick patches called plaques. With a severe psoriasis, the skin becomes itchy and tender. The patches join together and cover large areas of skin, such as the entire back. • Plaque Psoriasis - the most common form characterized by the inflamed patches of redness and silvery scales on your skin. • Nail Psoriasis - which manifests in your fingernails or toenails and causes discomfort and discoloration. • Scalp Psoriasis - where red, itchy areas appear on your head along with silvery-white scales. • Guttate Psoriasis - which generally affects those younger than thirty and is often caused by a strep throat or upper respiratory infection. You'll notice small bumps on your trunk and abdomen that itch and scale over - though not as extreme as plaque psoriasis. • Inverse Psoriasis - generally appearing around the breasts and groin area, this psoriasis is often caused by friction and is seen in people who are overweight. It is embarrassing and difficult to control the intense itching episodes in the worst possible places. • Pustular Psoriasis - uncommon but still treatable, this version of psoriasis causes blisters that appear over already red and itchy skin. Psoriasis may cause joints to become swollen, tender, and painful in some people. This psoriatic arthritis can affect the fingernails and toenails, causing the nails to pit, change color, and separate from the nail bed. Dead skin may build up under the nails. Psoriasis can be managed according to Dr. Lorna Frez. There is no need to be afraid, humiliated or cast aside. Through PsorCoach program, patients will get to meet many others like him and get access to the best management for each of them with the help of trained and Board-certified dermatologists. I like these kinds of advocacies.. We need these kinds patient advocacies.. This is a good way to boost the self esteem for those with Psoriasis and also to increase awareness on the disease. First time to know the different kinds of Psoriasis. Heard so much about this but didn't think this kind of disease. This advocacy will really help us be inform and educate. Thanks so much for sharing. It's about time a program like this is launched for psoriasis patients. Psoriasis is a very debilitiating disease that really could ruin one's social interaction. Kudos to Psoriasis Philippines! Best advocacy for people who are into this disease and their loved ones too. Family support are very critical with this kind of situation.